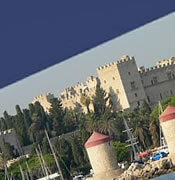 Rhodes Airport (IATA: RHO) is located 14 km to the southern-west side of the town of Rhodes, near the village of Paradisi. It is the fourth largest airport in Greece, with a total passenger volume, according to the movement of the year 2013, reaching 309,895 passengers for domestic flights and 1,785,305 passengers for international flights. The airport accommodates both scheduled flights and charter flights, especially during the summer months when the tourism traffic increases. It started to operate on the 28th June 1977, replacing the outdated civil use airport that was located a couple of kilometers towards the eastern side, in the area of Maritsa, and that today is used by the military. The aircraft parking floor covers a total area of 110.600 square meters with a possibility of parking 13 aircrafts while the terminal building has an area of 20.753 square meters with a capacity of 1700 passengers, with the expansions and improvements continuing. Rhodes airport is open all days and all hours of the year, while it offers services such as, car rentals, car parking and a duty free shop. 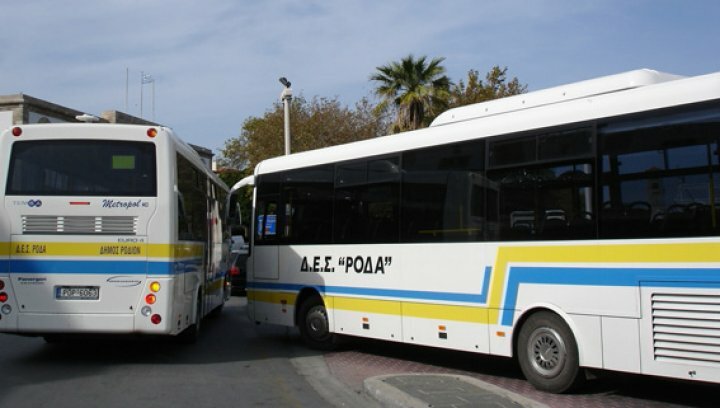 The town of Rhodes is located about 20 minutes from the airport of Rhodes by car.